Apart from Aam Aadmi Party, a couple of other political parties have also announced their intentions to contest elections in Karnataka. 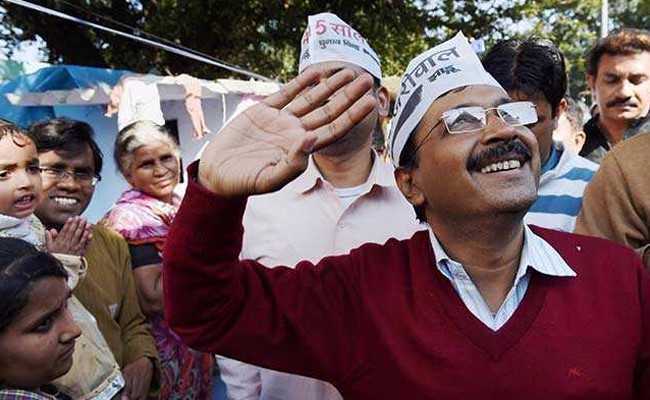 Bengaluru: Arvind Kejriwal's Aam Aadmi Party has said it will contest the assembly elections in Karnataka, but it has not yet decided on how many seats. "This is the right time for our party to contest the forthcoming assembly polls as our survey shows that people of Karnataka are looking towards us as credible alternative. We have decided to contest the polls but on how many seats it is yet to be decided," said Pankaj Gupta, the General Secretary of AAP in Bangaluru on Thursday. Assembly elections in Karnataka will be held around April-May this year. The Congress had won 123 seats in the 225 seats Vidhan Sabha including one Anglo Indian Nominated Representative whereas former Prime Minister Deve Gowda's Janta Dal Secular and the BJP had won 40 seats each in Vidhan Sabha polls held in 2013. The BJP was reduced to 40 from 122 due to the rebellion by the lingayat strongman BS Yeddyurappa, whose KJP had secured six seats. Mr Yeddyurappa had later joined the BJP along with four legislators. Asaduddin Owaisi's All India Majlis-e-Ittehadul Muslimeen had announced their entry long back, but they haven't said how many seats they will contest. It is believed that the AIMIM will be eyeing all those constituencies where Muslim candidates had won in the previous election and they will try their luck in those constituencies as well where Muslim voters are more or less dominant. The Mahila Empowerment Party led by Hyderabad-based social worker Dr Nowhera Shaik will also enter Karnataka elections. "I have to see that how many seats our party should contest in Karnataka. Candidates from all strata of society are approaching me," Dr Shaik told NDTV. Apart from them, Deputy Superintendent's Anupama Shenoy's Bharatiya Janashakti Congress, Sandalwood Cine star Upendra's Prajnavanta Janata Paksha and Kolar legislator Vertoor Praksh's Namma Congress will also try their luck in the forthcoming assembly elections. The battle is largely expected to be between the BJP and the Congress.